Today we’re going to be talking about avoidable and unavoidable pressure sores, a big source of litigation in healthcare and the source of a lot of controversy. Do we still assume that all pressure sores are avoidable? How does being able to establish whether a pressure sore was unavoidable tie in with documentation by the nurses and other staff who took care of the patient? Why is it sometimes hard for the defense team to come up with a counter position? What about medical device pressure sores also – are they always unavoidable? How do you know what were the risk factors in the person? Were preventative measures put in place? Since Centers for Medicare and Medicare declared stage III and IV pressure ulcers as avoidable outcomes of care, the spotlight is shining on pressure sore cases. Are you using current standards of care to evaluate pressure sore cases? Can you spot the unavoidable pressure sore cases? Are you aware of all of the critical issues that affect the analysis of pressure ulcer cases? Are you comfortable in being able to analyze the liability and damages of these cases? 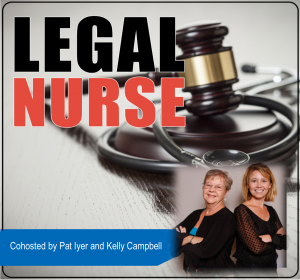 Learn from an international expert in pressure ulcer care and prevention: Dr. Diane Krasner and a national expert in legal nurse consulting: Pat Iyer MSN RN LNCC. Heidi H. Cross, MSN, RN, FNP-BC, CWON, is a member of the Wound, Ostomy, and also Continence Nurses Society, the Association for the Advancement of Wound Care, as well as the American Nurses Association. 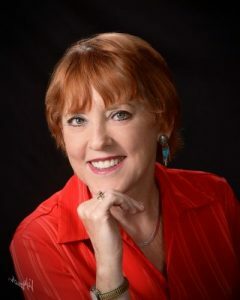 She has served on numerous committees related to wound and ostomy care, including as chair of the Wound Ostomy and Continence Nursing Certification Board examination committee, the credential and review committee, and also the marketing committee. For the Wound and Ostomy Nurses Society, she is the co-chair of the National Conference Planning Committee, has done peer review for the Journal of Wound Ostomy and Continence Nursing (JWOCN), and also was the recipient of a grant from the Center for Clinical Investigation Research. The United Ostomy Associations of American honored her with the UOAA Ostomy Nurse of the Year in 2008, and Convatec awarded her the Ostomy Nurse of the Year award in 2011. She also participated in developing the National Pressure Ulcer Advisory Panel’s Clinical Practice Guidelines for Prevention and Treatment of Pressure Ulcers in 2014.